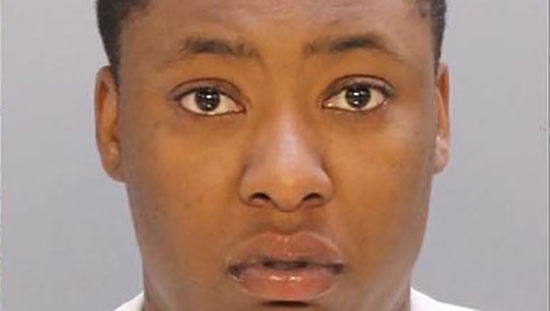 Philadelphia police have arrested a woman described as the caretaker of a toddler found dead last week in the West Oak Lane section of Philadelphia. 22-year-old Jedayah Nesmith is charged with endangering the welfare of a child, recklessly endangering another person, concealing child death and abuse of a corpse. Police were called to the 7100 block of North 15th Street last Wednesday night. They discovered 2-year-old Azim Jones-Fearon laying on a bed, naked and emaciated. He was pronounced dead at the scene. The cause of death is pending an autopsy. The investigation is ongoing. A man was stuck under a forklift in an industrial accident in Tinicum Township, Delaware County earlier this afternoon. It happened around 1:30 pm Tuesday at 10 Industrial Highway in the Airport Business Complex. Rescue crews responded to find the man trapped under the machine. No word on the man's condition or the circumstances leading up to the accident. UPDATE: The 35-year-old man from Upper Darby was pronounced dead at the scene by medics. A Kensington man who was shot in the attempted robbery of a North Philadelphia laundromat has been charged. 40-year-old Marcus Quinones is charged with robbery, aggravated assault, theft, simple assault and related offenses. It happened around 4:15 pm Sunday on the 2900 block of N. 5th Street. Quinones robbed the laundromat at knifepoint and made off with $2,000 cash. The owner then gave chase with his revolver. Once on the street Quinones threw the money in the air and the owner opened fire. The suspect was hit twice in the chest and a bystander was hit in the hand. The owner will not be charged in the shooting. He has a license to carry the gun. Tonight, cloudy, chance of shower, temperatures around 50 this evening in Center City.